What are wildcard certificates about? In the past you’ve already been able to add several domain names and subdomains to your certificate, like effenberger.org, www.effenberger.org, mail.effenberger.org. However, adding or removing a subdomain always required creating a new certificate, which was tedious and didn’t scale so well, not talking about the rate limits that could have hit you. 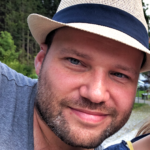 Wildcard certificates make your life much easier by allowing domains like *.effenberger.org, which covers everything under the first level of the respective domain. Second-level names like backup.mail.effenberger.org are rather not covered, but likely require *. *.effenberger.org as wildcard, but I’ve not tested this yet. and provide your credentials for sudo, as the system-wide installation requires root privileges. The client will invoke your distribution’s package managers to provide for the missing files. In a second step you create the actual SSL certificate, which requires validation of the domain. There are various ways to proof ownership of the domain you’re requesting a certificate for. In order to get wildcard certificates, the DNS challenge validation is a requirement. For that, you need access to your domain’s nameserver entries and create a TXT record. If you’re unsure what this is about, you’re better off asking your provider or system administrator, as you can easily break your website with a misconfigured DNS. and replace your.mail@address with your e-mail address and *.your.domain with the domain name you wish to get a SSL certificate for, respectively. You might be asked to accept the terms of service and agree to your IP address being logged. You might also be asked whether you want to share your e-mail address with EFF. Please wait a few minutes after you have done that, for the DNS records to deploy, and then press Enter. 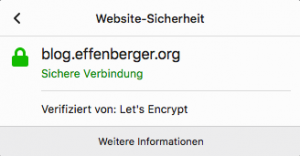 The Let’s Encrypt client now tries to verify the domain. If all went well, the new certificate resides in /etc/letsencrypt/live/your.domain and can be included in your mail, web and other application server. Don’t forget to renew it in due time, as wildcard certificates last 90 days, just like any other Let’s Encrypt certificate. Thanks to the nice folks at Let’s Encrypt for the new wildcard functionality – you rock!